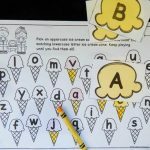 Is your child ready to learn more about the letters of the alphabet? But how do you teach the alphabet, and where do you even begin? 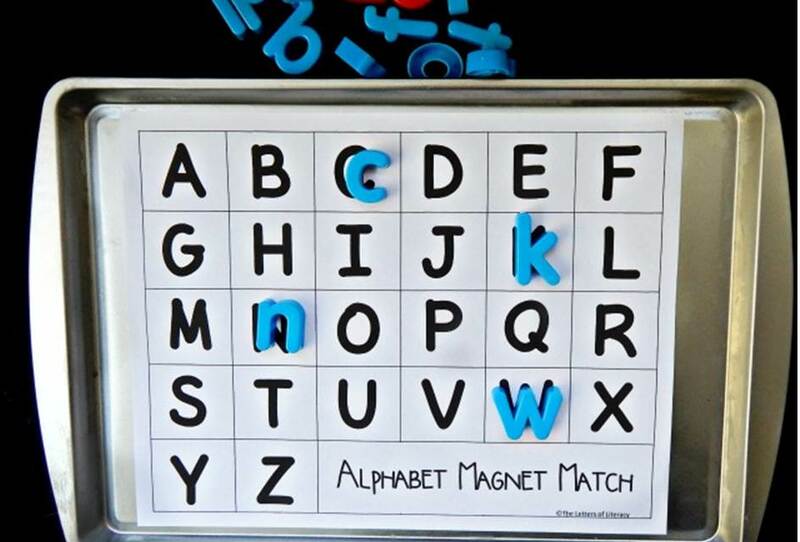 It may be time to focus on purposely exposing your child to the alphabet. 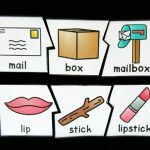 This can be done when reading books, driving in the car and talking about the letters on the stop sign, and playing games like Flip Flop Uppercase Alphabet Match. 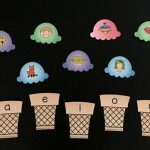 This printable alphabet activity includes 26 pairs of flip flops. The flip flops in each pair are the same color and have the same uppercase letter on them. 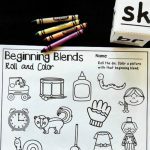 To prepare the activity, simply print the file below. I printed my set on cardstock for added durability. If you plan on laminating the game, you can easily print on regular printer paper. Cut the flip flop sets out. There are light gray lines to follow to make cutting easier! After your pieces are prepped, it’s time to play! 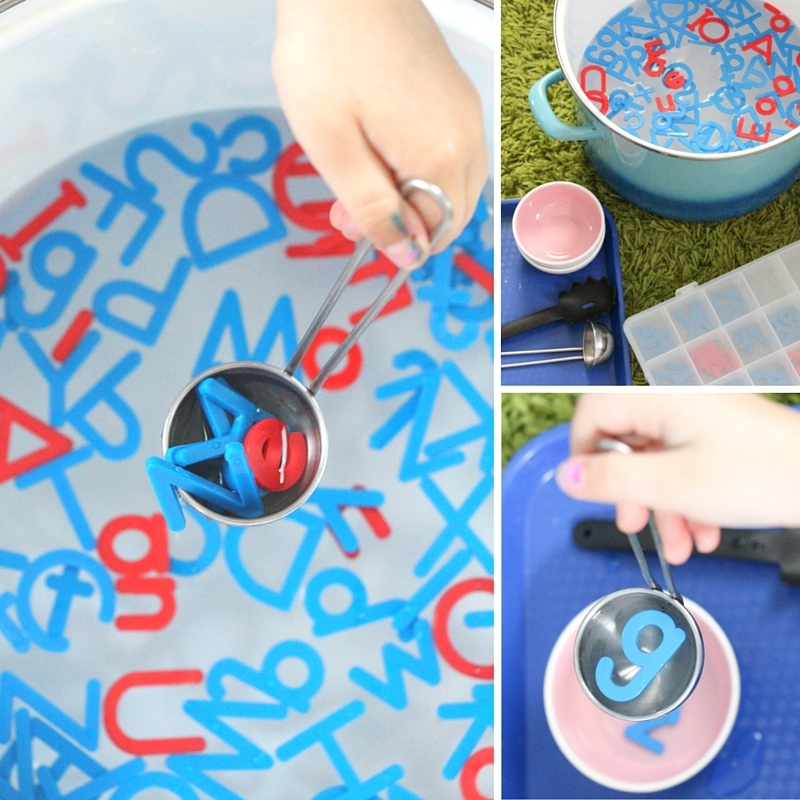 The object of the alphabet game is to find and put together the matching letters on the flip flops. Each time a match is made, a pair of flip flops are also created. 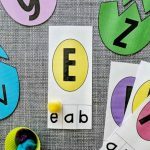 When you begin exposing preschoolers to the letters of the alphabet, the end result is not for your child to quickly memorize the name of each letter. It’s more about taking skills that your child already has, and building on those skills. 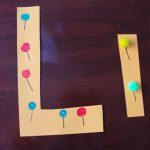 Another way to introduce this activity without overwhelming your child with 26 letters (and 52 game pieces!) is to keep things meaningful. There is nothing more special than working with your child’s own name. 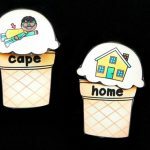 Find all the letters in your child’s name and spread the left flip flop from each pair on the table. 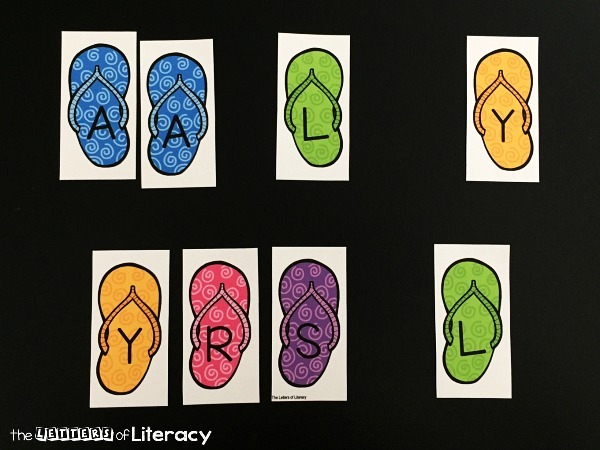 Place the right flip flops of the same letters in a row on the table (like the photo below using the name Aly). 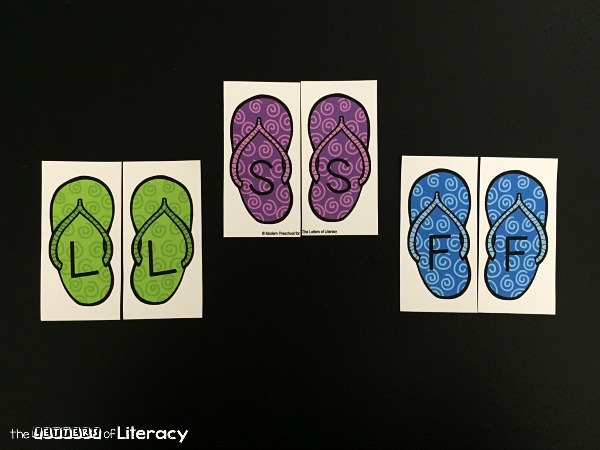 Add a few extra letters not in your child’s name to the row and encourage your child to match the correct pairs of flip flops in his name! 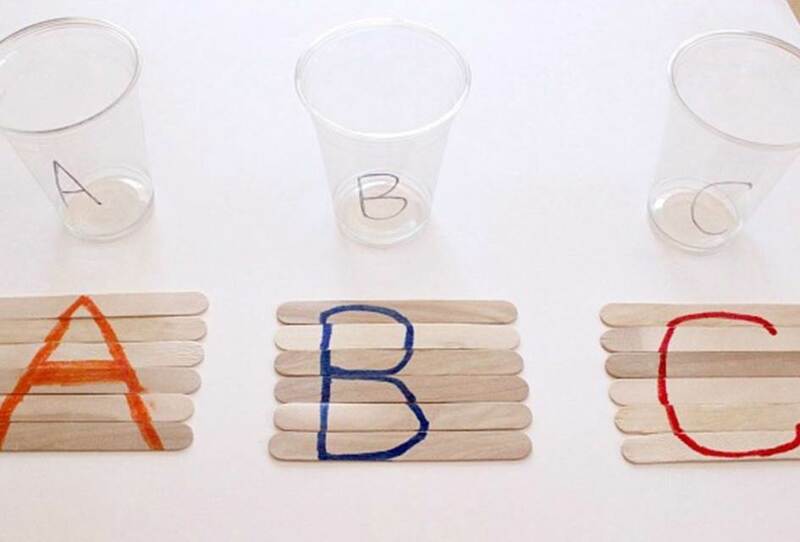 When your child starts making matches like a pro with these different ways to play with parts of the set of the alphabet game, add in all of the letters for even more of a challenge! Ready to give it a go? 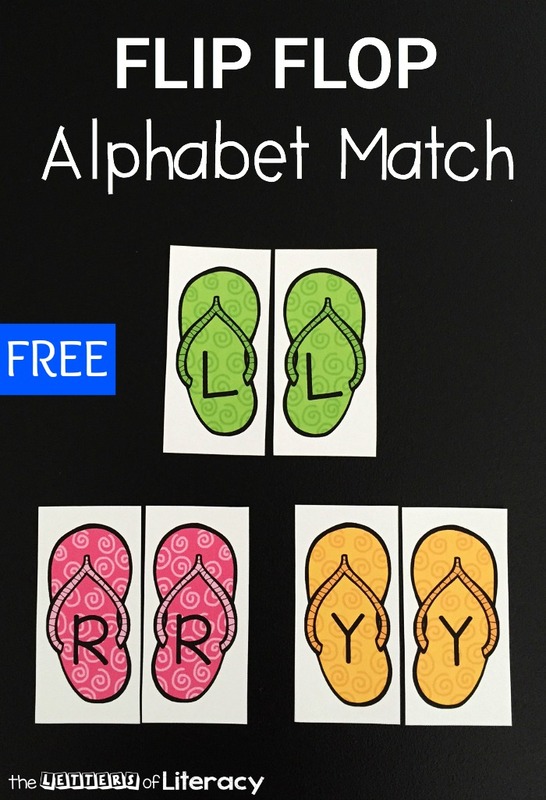 Grab your copy of the Flip Flop Uppercase Alphabet Match game by clicking the blue button below. Then, for more alphabet fun, grab the Alphabet Experts MEGA (over 500 pages!) Bundle. 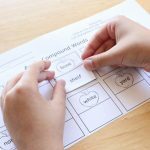 Want even more alphabet ideas and activities to try? Here are some of our favorites!